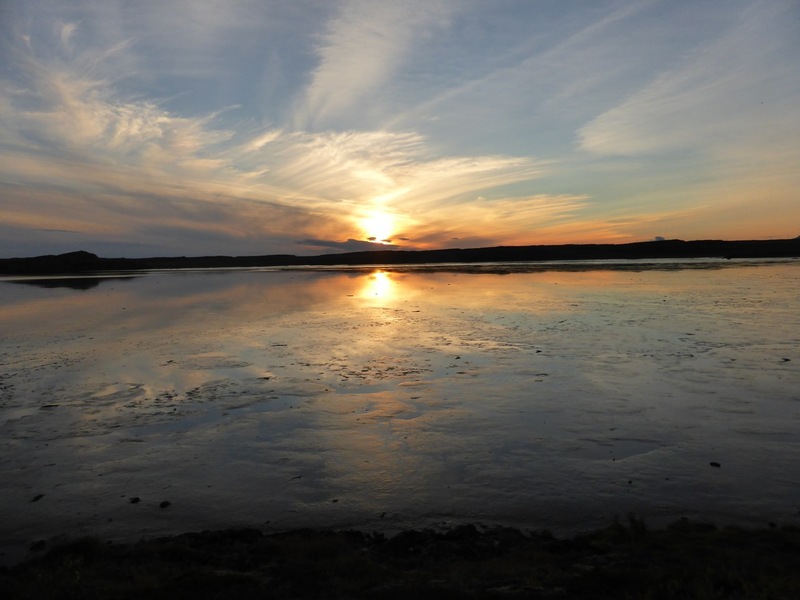 On a calm, clear evening the sunset at Borgarnes campsite is spectacular. 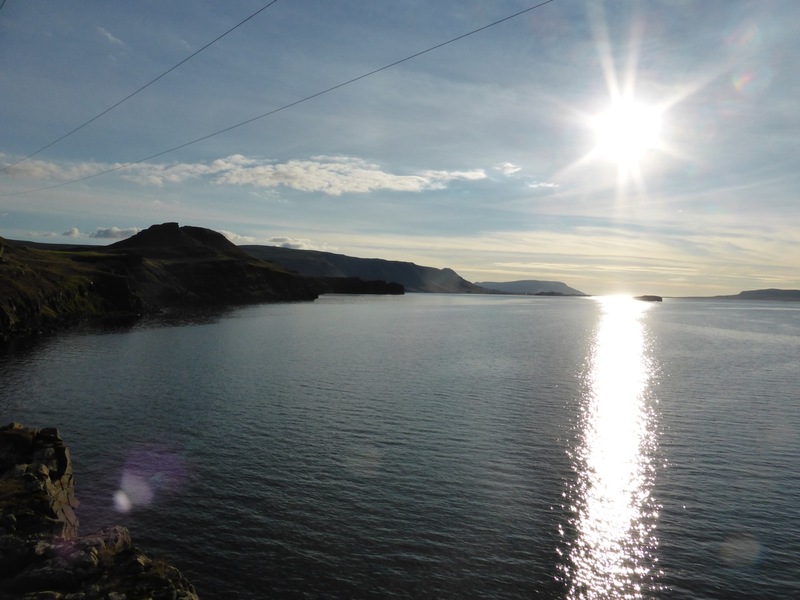 There is a clear view to the west, and the sun sets over the shore of the fjord, lighting up the tide-washed mud of the inlet. Here, so goes the story, the coffin of Kveldulf washed ashore sometime in the late ninth century after the old man died on the voyage from Norway. 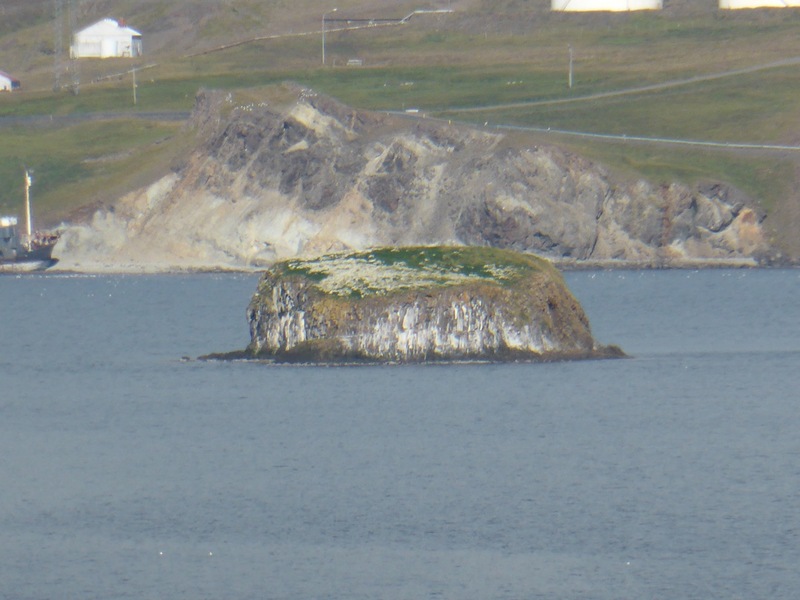 Usually when they were approaching Iceland the settlers would throw overboard the ‘high seat pillars’ from their hall back in Norway, and found a new farm wherever they washed up. Kveldulf was a darker character altogether; he gave instructions that his son should set up a farm where his coffin came ashore. 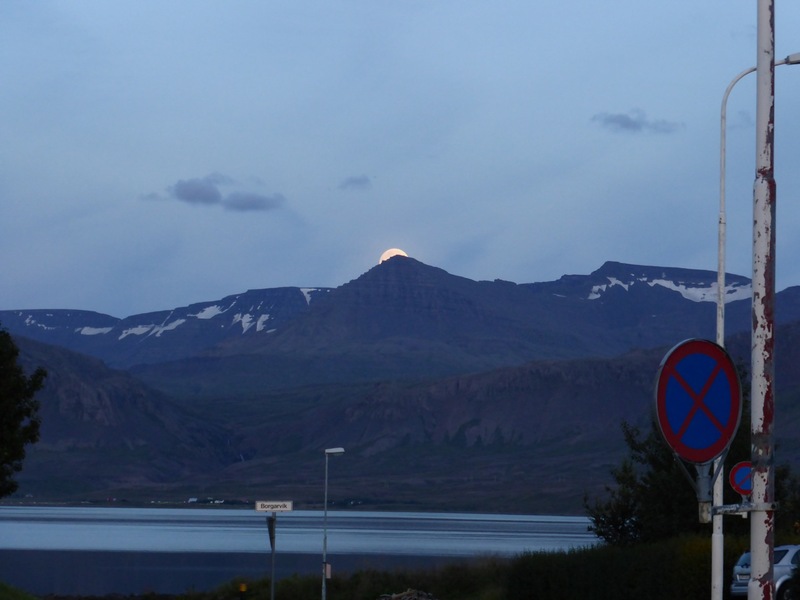 And that was in this bay, by which I was going to camp after my day on Esja and around Hvalfjörður. 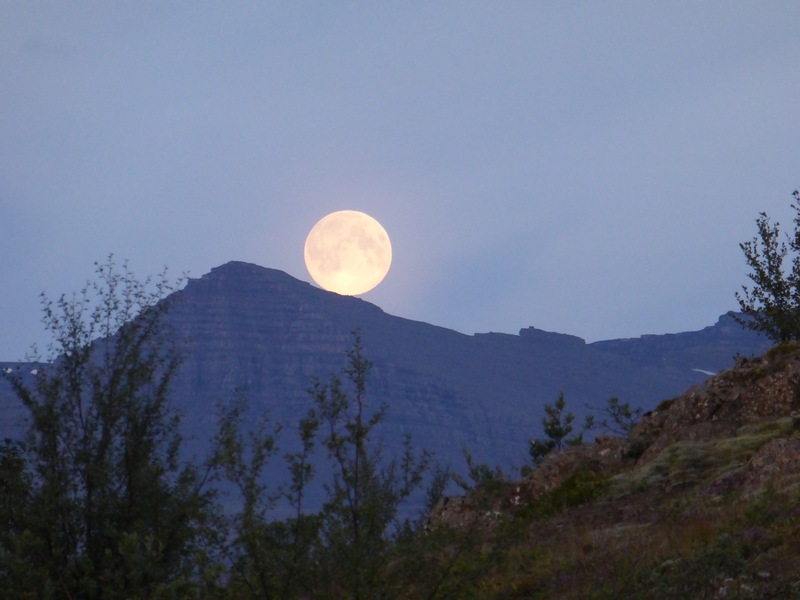 A short time after the sun had set, a tremendous full moon rose above the mountains across the fjord to the southeast (Borgarnes lies on a peninsula that juts into Borgarfjörður from the northeast). This seemed somehow fitting, for as anyone familiar with the Scandinavian languages will have noticed, Kveldulf means ‘Evening Wolf’. Shape-shifting was generally looked down on by the saga writers, and Kveldulf’s werewolf reputation is little more than hinted at. But he certainly was a berserk, and the two things often went together. Friendly and hardworking in the mornings, he had a reputation for becoming increasingly difficult and even violent as night approached. His son Skallagrim (Bald Grim!) inherited much of his father’s character, but was generally able to keep it under control. Occasionally it would break out, as on one occasion at a local gathering, again near the campsite at the northern end of the peninsula. Skallagrim was competing in a game against his twelve-year old son Egil, and Egil’s older friend, and he seemed to be losing. However, as evening came on he was filled with a tremendous strength; he grabbed Egil’s friend and dashed him to the ground so hard that he died instantly. Egil would have suffered the same fate, but his childhood nurse Brak shouted at Skallagrim, shaming him with his bestial lack of control. Skallagrim turned on her instead, chasing her the length of the peninsula, and then hurling a great rock to drown her as she tried to swim to safety on an island just offshore. Brákarsund, scene of Skallagrim’s least worthy killing; the cairn reads ‘Here Skallagrim drowned Brák’. That evening the twelve-year-old Egil walked into their hall with an axe and drove it into the skull of Skallagrim’s foreman and favourite servant. Then he sat down and they ate as if nothing had happened; but father and son didn’t speak to each other all winter. As you may have realised, Egil was not your average child. He had already committed his first killing aged six following a playground squabble. Amusingly, his mother didn’t even scold him for this first killing, instead proclaiming proudly that he had the makings of a great Viking. Borg in the Marshes, site of Skallagrim and Egil’s farm. The poem and the story behind its composition reveal great sensitivity and deep anguish. These seem quite at odds with his tough exterior, but this contrast is just what makes Egil real to me; people’s characters are often contradictory. 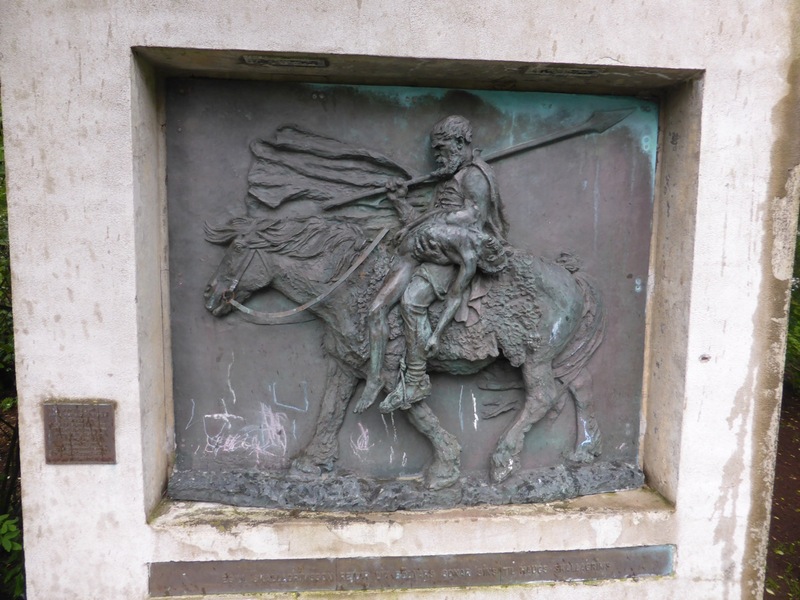 It is the warrior who is not capable of sadness or ‘poetry’ that is frightening and unnatural to us today, and the sagas seem to suggest that the Vikings felt the same way. The greatest warriors in the sagas are poets like Bjorn of Hitardal, or are afraid of the dark like Grettir and Gisli, or in Gunnar of Hliðarendi’s case suffer confusion because they feel guilt at killing, though society tells them this is unmanly. The few characters who are simply the psychopathic killing machines we tend to imagine when we think of the Vikings are eventually shunned even by their closest friends and relatives. A moment of sunshine at the campsite; Borg in the distance, where the church stands today. 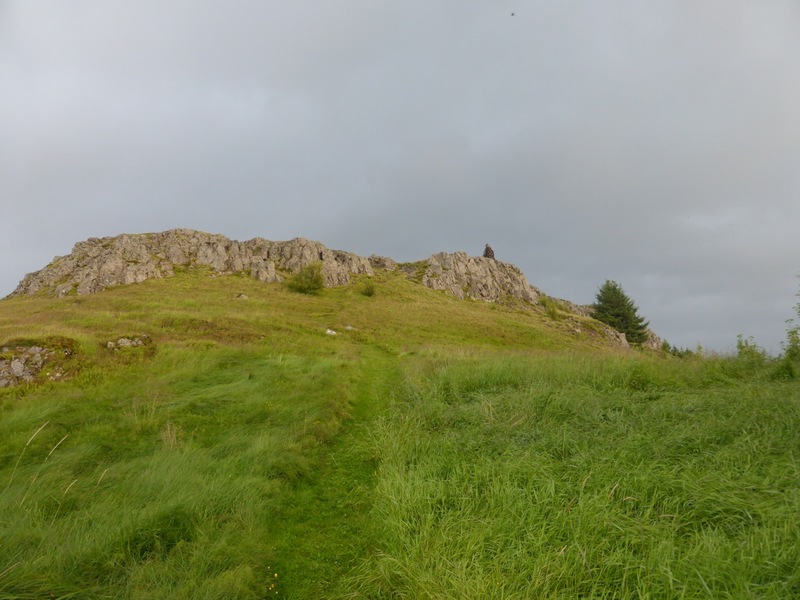 After visiting Borg in the rain the next morning, the site of Skallagrim and Egil’s farm below the rocky outcrop in the marshland that is the ‘borg’ (fortress), I headed back into Borgarnes. I swam in the almost empty swimming pool, where gratuitous use of the water slides, steam bath, and hot pools counteracted the rain that continued to fall throughout. 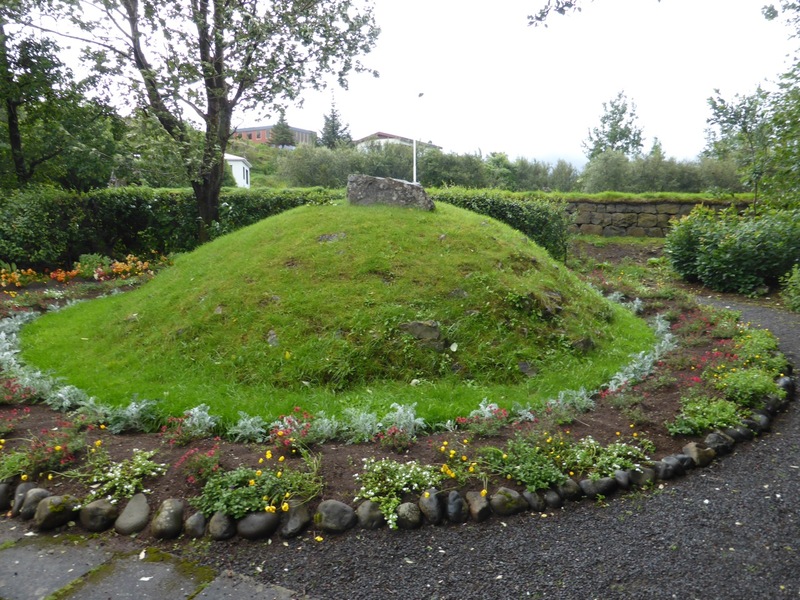 Clean, warm, and briefly dry, I returned to the main street through a park where I came across the burial mound of Skallagrim, in which Egil also buried his son Bodvar. 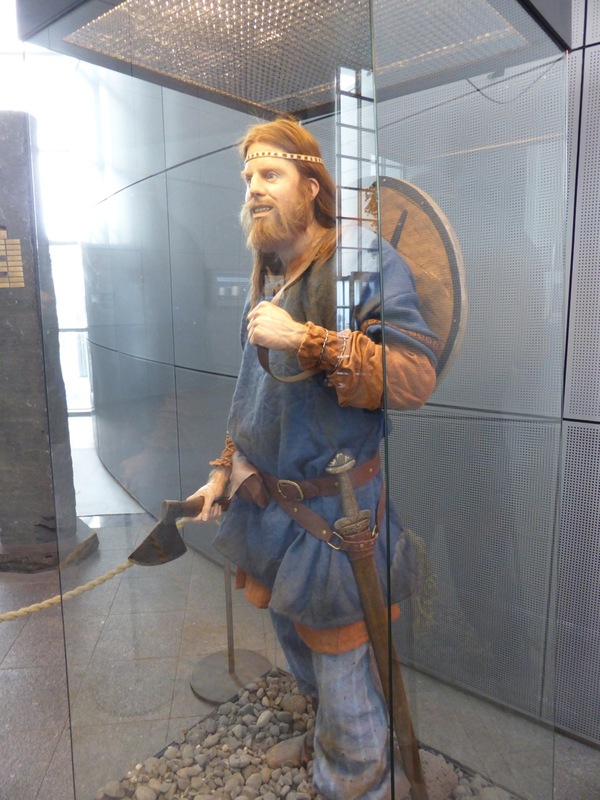 A bronze cast in relief beside the cairn showed the devastated Egil carrying Bodvar’s limp body, and again I reflected that it is this moment of vulnerability in Egil’s life that we are most drawn to today. And if reading it now moves us, it can only be because it moved the medieval Icelanders who told and wrote the stories about Egil. Read it, and the emotion you feel connects you directly to those people and that time; and inevitably we realise that we are those same people. 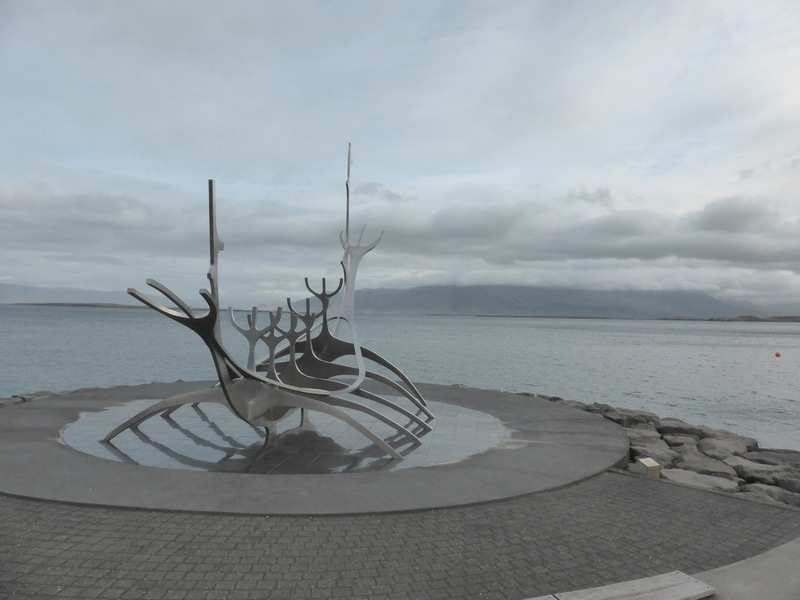 It was with a determination to find this mysterious Iceland of the sagas that I landed at Keflavík airport late one Friday night in mid August. My head was full of Laxdæla saga after reading it on the flight, and my rucksack was full of more sagas, a copy of Lonely Planet, a road atlas, a bird guide, a few changes of clothes, some emergency food, and a warm but bulky sleeping bag. Strapped to the outside was my tent, and I was going to need it very soon, because I knew all the hostels in Reykjavík were fully booked until Sunday. So I ignored the buses outside the airport and set off on foot into the night. 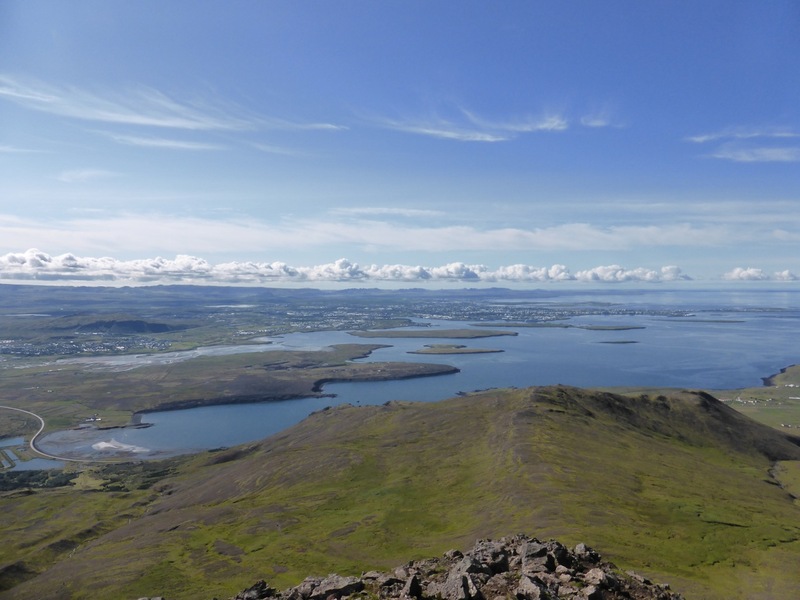 With hard walking and a very lucky lift I arrived not too long after midnight at a campsite on the very northwesternmost tip of Reykjanes Peninsula, outside the little town of Garður. 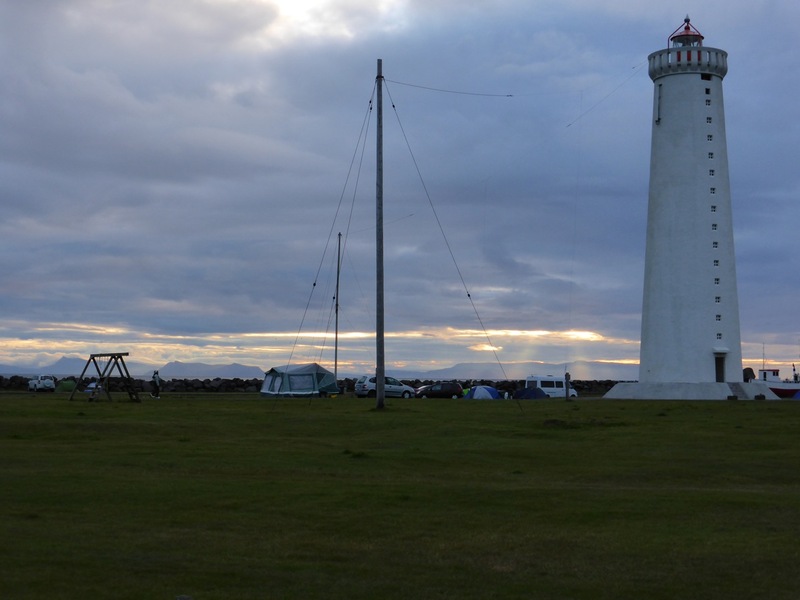 The campsite lay right up against the sea, between the old and the current lighthouse, and the few other tents on the site were mostly positioned along a thick sea wall of large rocks for shelter. It was windy and cold, and I wondered how my limited wardrobe would cope in several weeks time in the north of the country, with conditions this bad here in the south in mid August. It was still very cold the next morning when I got up at six, but as the sun came up the temperature improved and the clouds rolled away, leaving a beautiful day behind them. 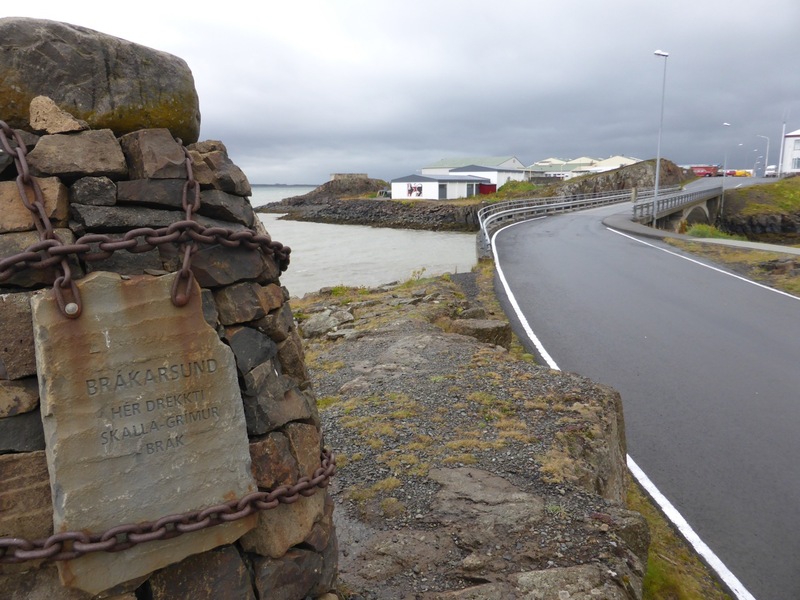 I walked several kilometres back through Garður and along the road towards Keflavík; there was no traffic except for jeeps with golf buggies on trailers heading the other way. A couple of hundred metres over the bare moorland to the northeast the coastline ran parallel to the road, while on the other side the moor stretched away to the horizon. It was punctuated by occasional low ridges and patches of some thriving green plant that looked suspiciously like an invasive weed, but was for the most part bleak and bare except for moss and a thin scattering of struggling grass. 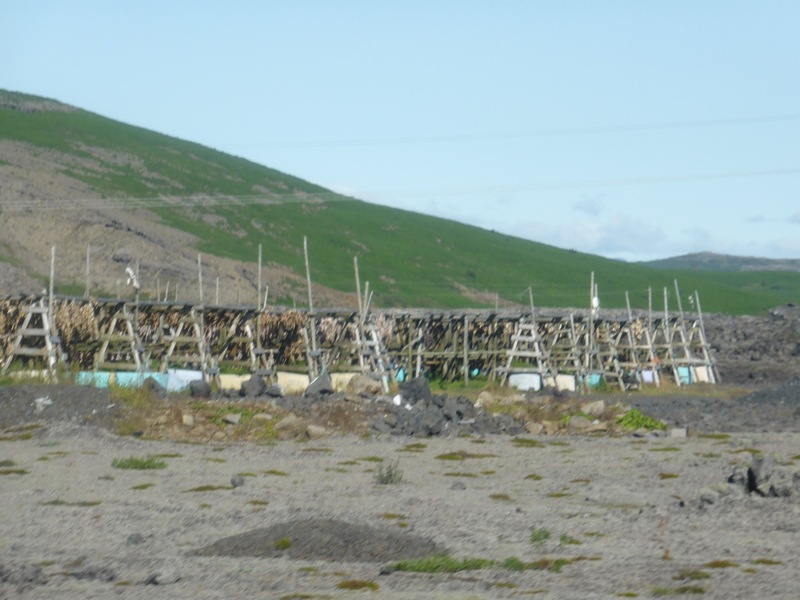 My attention was caught by a large number of wooden frames standing a short distance away on my right, which I guessed were for drying fish on. This was the first indication of a traditional industry that could have supported life on this peninsula before the Modern Age. 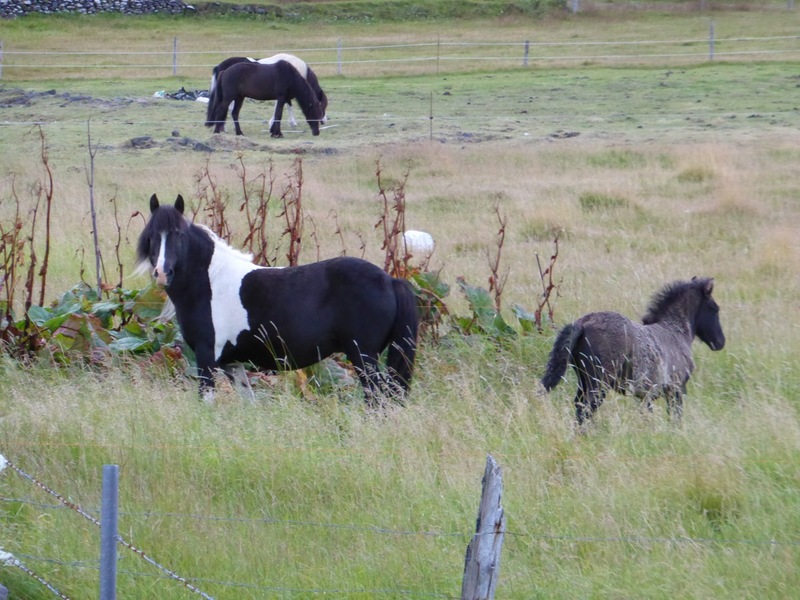 The fields around Garður, such as they were, all had horses in rather than cows or sheep or pigs, and the Icelander who drove me to Hafnir on the west coast of Reykjanes pointed out his dozen horses in a field on the edge of Hafnir. What did he use them for? “Riding,” he replied. In the rest of Europe this might seem pretty excessive, but in Iceland keeping horses has little to do with post-industrial prosperity; for many it is a natural part of life. Reference to almost any medieval saga reveals that despite the strong association we have with vikings and the sea, the early Icelanders were effectively a horse culture. Horses were used all the time for travel and shepherding, for popular entertainment by making stallions fight at prearranged gatherings, and sometimes they fulfilled a spiritual or religious role as well. In the saga named for him the chieftain Hrafnkel is set on a dramatic course of ups and downs after killing a servant boy who had ridden without permission his prize stallion, which he had dedicated to the god Frey. 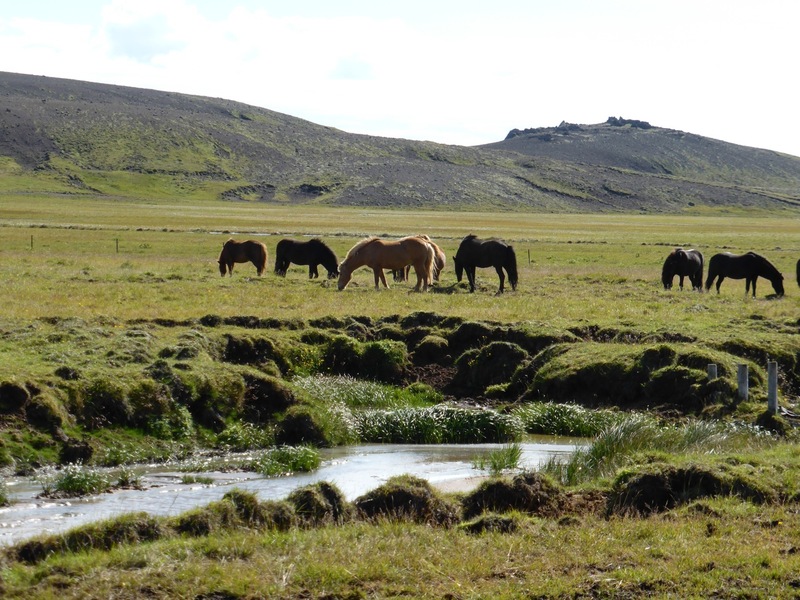 This obsession with horses seems to have survived ever since, and in fields and on hillsides all over Iceland you will see countless Icelandic horses, a breed they protect fiercely, and which as a result is more or less unchanged from its early medieval ancestors. 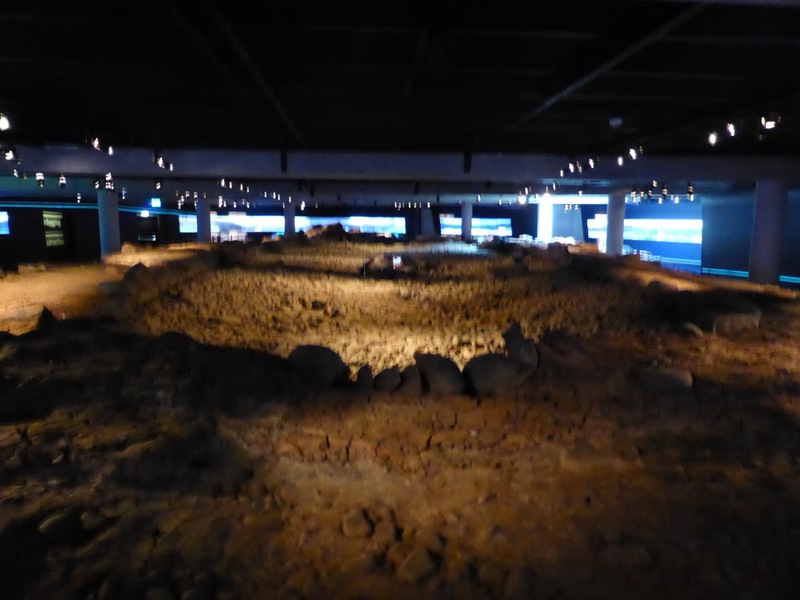 Hafnir has a more tangible survival from the settlement period in the form of a partially excavated longhouse from about the year 900. 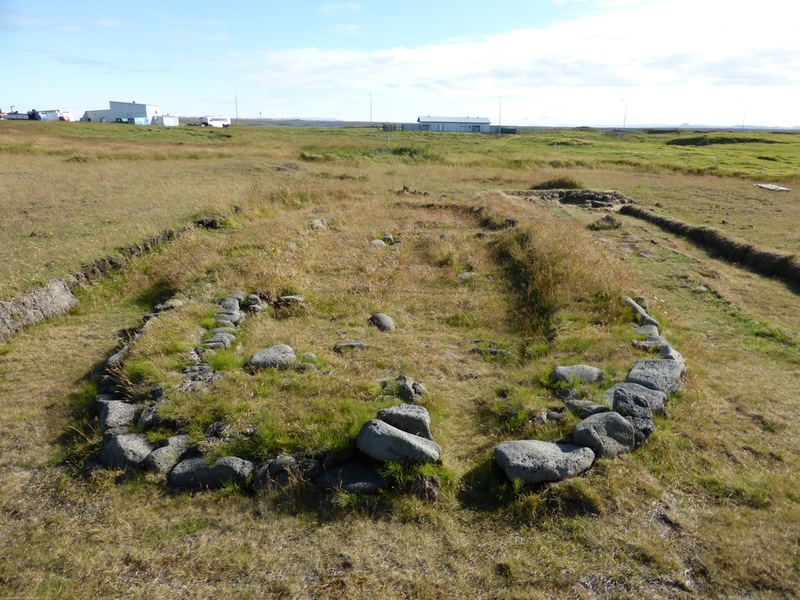 It is one of a few pieces of evidence for medieval occupation of this bleak corner of the countryside, another being a reference to a journey around Reykjanes taken by a family of beggars in the Saga of Hord and the People of Holm. 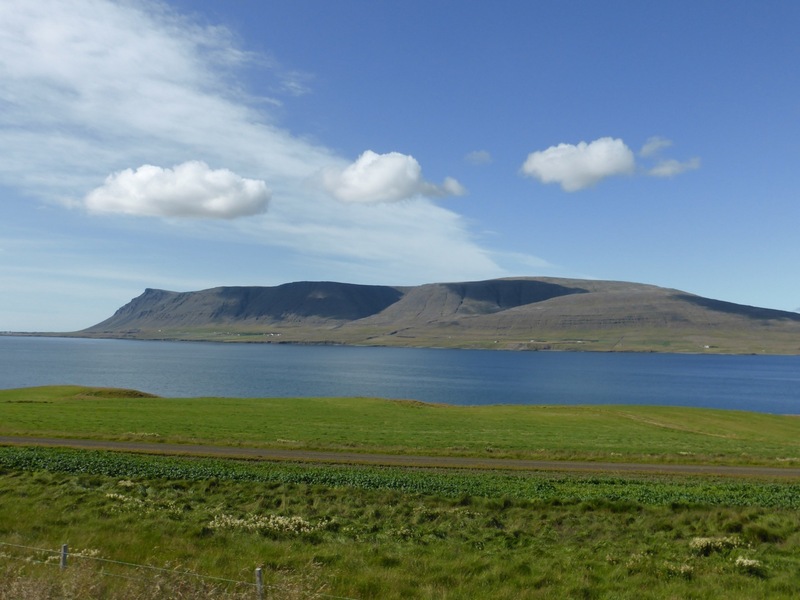 However, the poor land quality and exposed coastline must have meant that it was always a region where few people lived, and the land becomes even less hospitable beyond Hafnir, where I headed next. 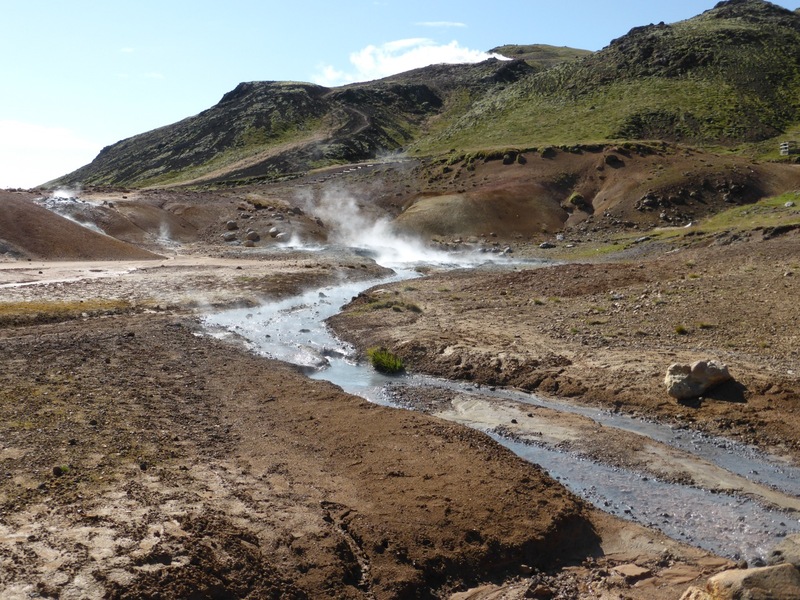 In the world of tourism Reykjanes Peninsula is famous (apart from the Blue Lagoon) for its bubbling mud pools and steaming springs, the most dramatic of which are at Gunnuhver in the far southwestern corner, and Krysuvík, where a turning off the coastal road eventually leads cross country back to the main road into Reykjavík. 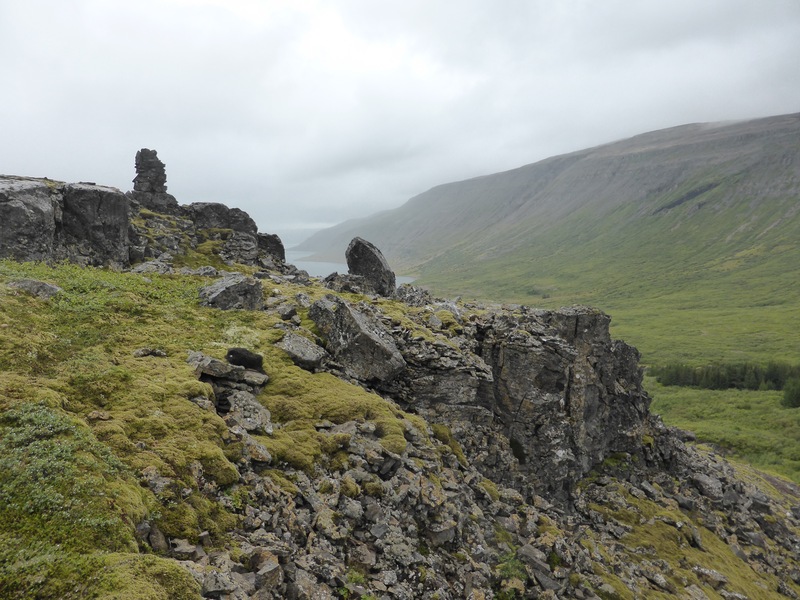 I spent the next few hours visiting these sites and the sea cliffs beyond Gunnuhver, and arrived footsore, tired, and happy, in Reykjavík late that afternoon. 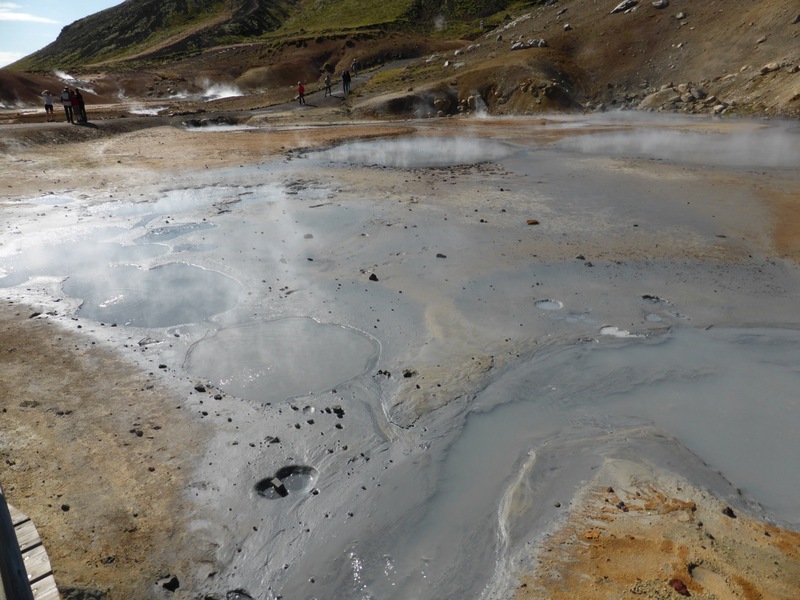 I will let photos describe that journey, and you will have to imagine the sulphurous reek and ferocious steaming and bubbling sounds of the mud pools. 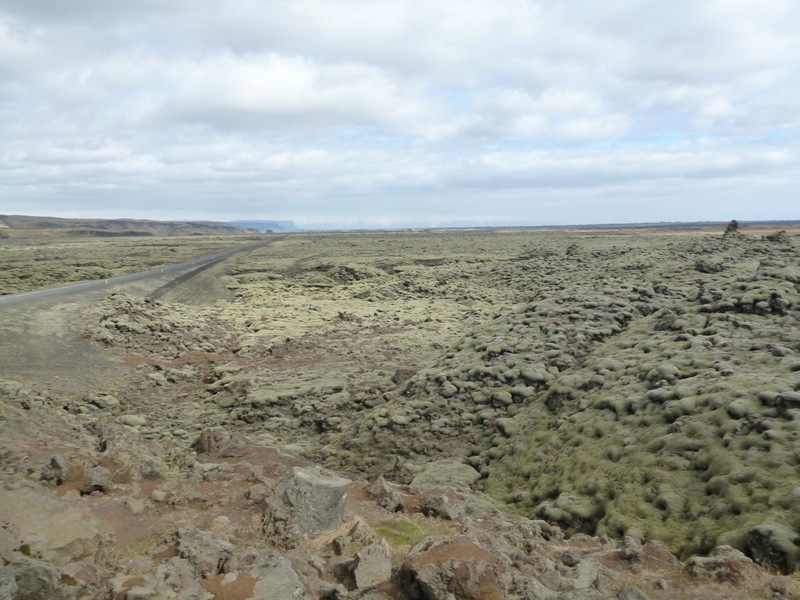 Meeting of European and American continental plates, south of Hafnir. 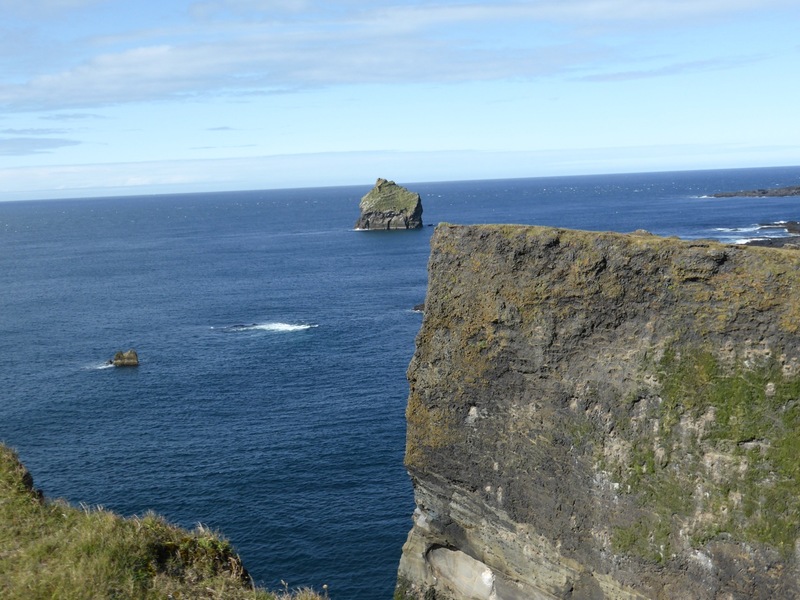 Cliffs at southwestern tip of Iceland. The first time I travelled to Iceland I flew in over the Reykjanes peninsula during the day, so that my first impression from the plane window was of a terribly bleak and desolate landscape, an impression that the bus journey from the airport to Reykjavík seemed to confirm. 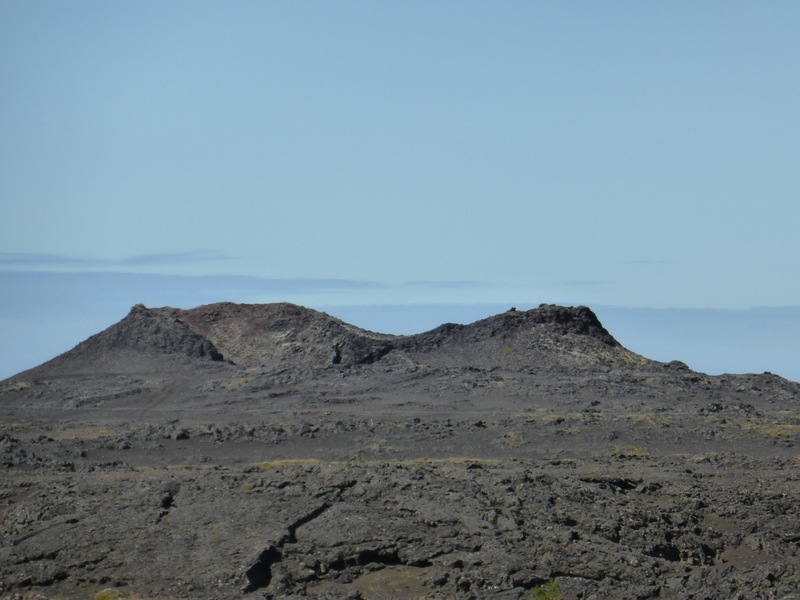 I was mistaken, however, to think that these vast lava flows and barren moorland were the essence of Iceland. 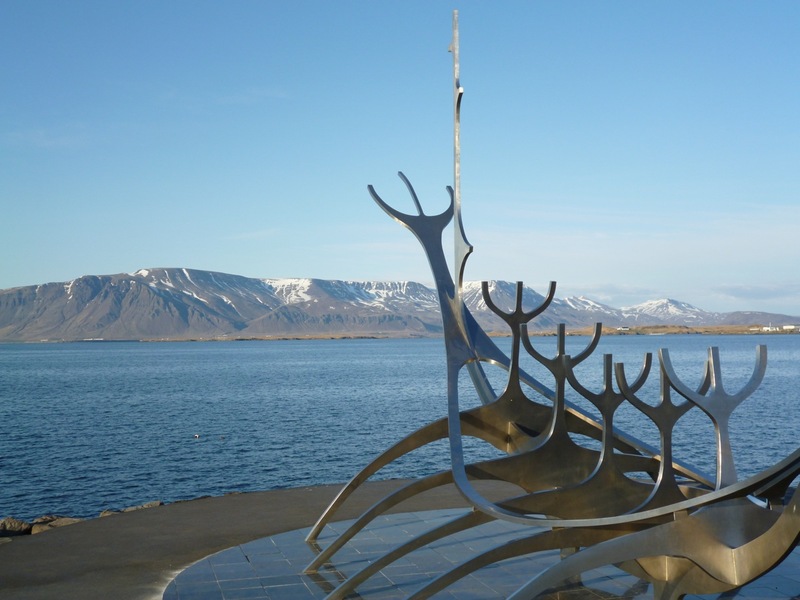 But how many visitors come to Iceland and never see anything more than this, stopping over for an afternoon to visit the Blue Lagoon, or perhaps for a night or two in Reykjavík? 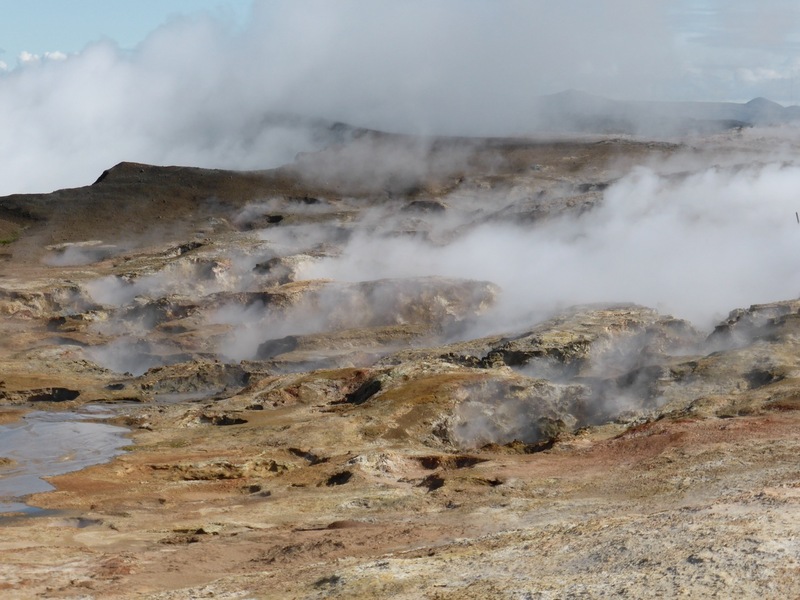 How many tourists leave thinking Iceland is a wasteland punctuated only by the occasional stunning tourist attraction and by the sprawling city of Reykjavík? 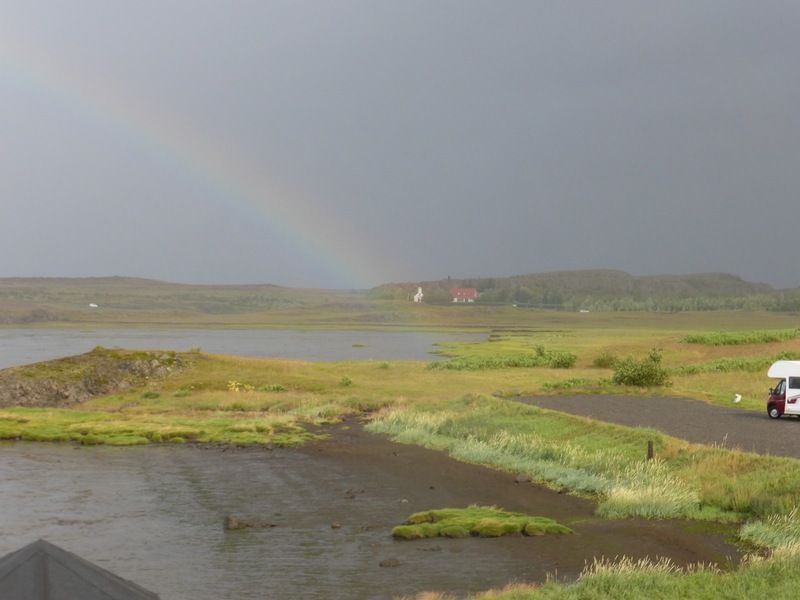 I would guess that the single greatest category of foreign visitors is the visitor who is in the country for three or four days, and spends it in Reykjavík, leaving the city only to do a mandatory Golden Circle tour: a coach trip round Þingvellir, Geysir, and Gullfoss. There is nothing wrong with this. 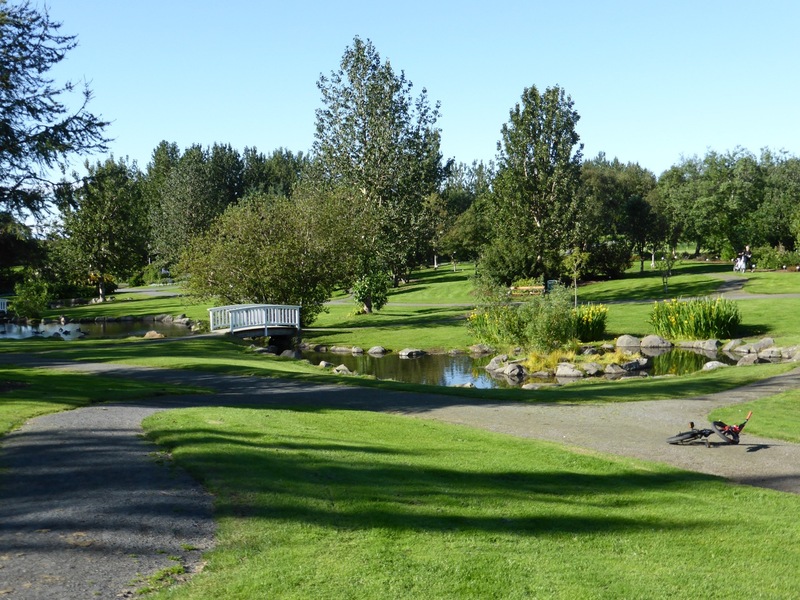 They will have a great time, and some of them may resolve to come back, because even on such a short visit the natural features make quite an impression. But this is no more the essence of Iceland than the lava fields between Keflavík and the Blue Lagoon, though many of these visitors will undoubtedly make the mistake of thinking they have ‘seen Iceland’. I know, because I made the same mistake, and I had a whole week to make it in. 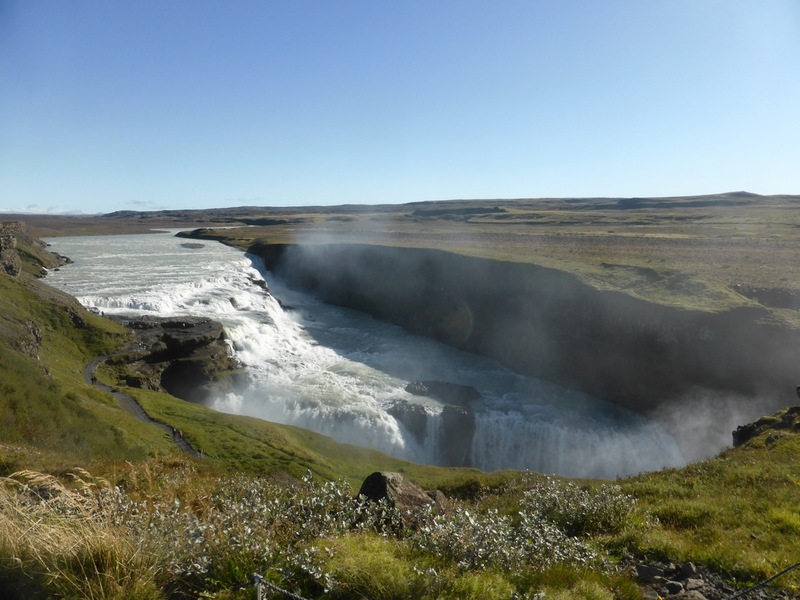 Gullfoss – the essence of Iceland? 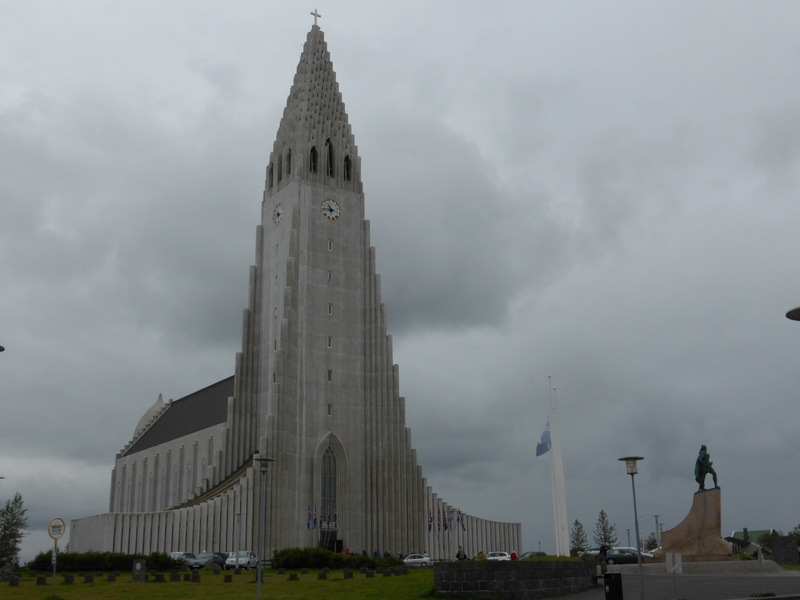 I had two days in Reykjavík, and then spent a day hitchhiking round the Golden Circle, before continuing along the south coast. I had three more days to race to Jökulsárlón, a spectacular glacier lake, in the southeast of the country, and back to Reykjavík. They were three truly incredible days, and a major factor in my decision to return to Iceland just over a year later for a longer visit. 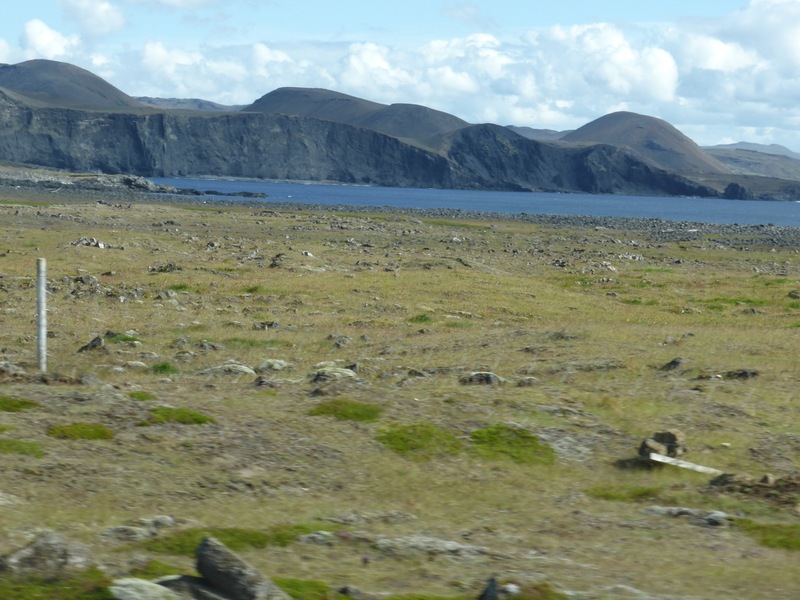 This journey along the south coast is probably the most common route for tourists going beyond the Golden Circle, and with good reason, as the waterfalls, cliffs, and glaciers it passes are truly stunning. 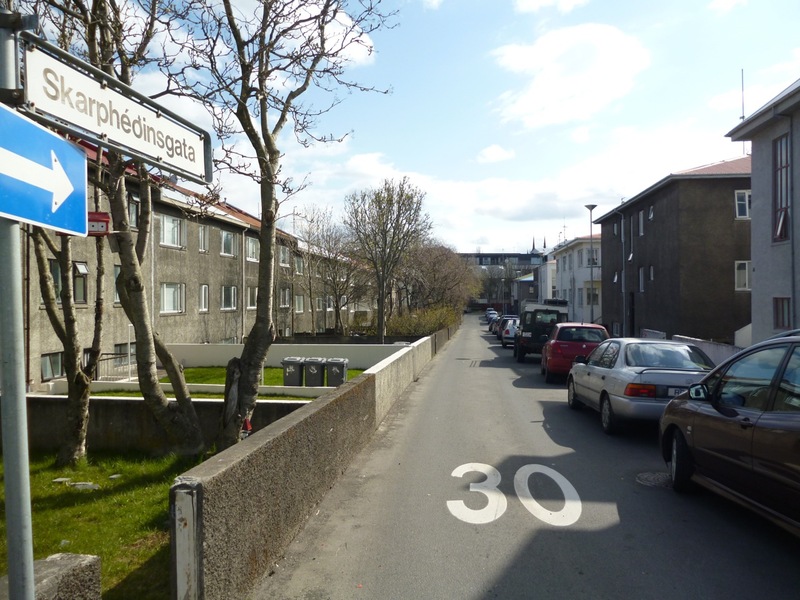 It is also a route which seems to confirm a first impression of Iceland as an exceptionally bleak country. While the road first crosses the extensive grasslands of the Rangár district, these soon give way to hundreds of miles of washed out black sand, regularly reshaped by glacial floods and supporting a little grass only in those places that have for some time escaped these catastrophic interludes. Just when the traveller thinks the landscape can get no bleaker or more inhospitable, the road hits a series of tremendous lava flows, mile after mile of twisted and lumpy rock supporting no life except a thick layer of moss. Lava flow on south coast. 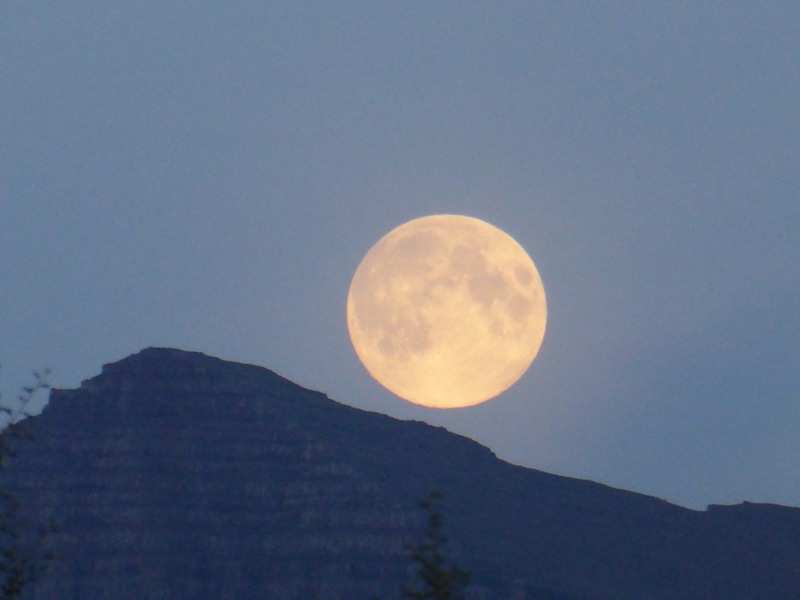 When I left after my week’s visit I was amazed and appalled in equal measure. I knew I would have to come back to explore more of the natural features of the landscape, but I could not understand how or why a people had come to settle this desolation in the first place. Bleak as it seemed to me, how much worse must it have looked to settlers who knew their lives depended on making a living out of this harsh land? To me it seemed a landscape divorced from its inhabitants – an easy conclusion to reach on the south coast, where there are in any case large areas with very few people living there at all. I thought this alternately and often simultaneously beautiful but bleak landscape was essentially Iceland, but I was wrong. 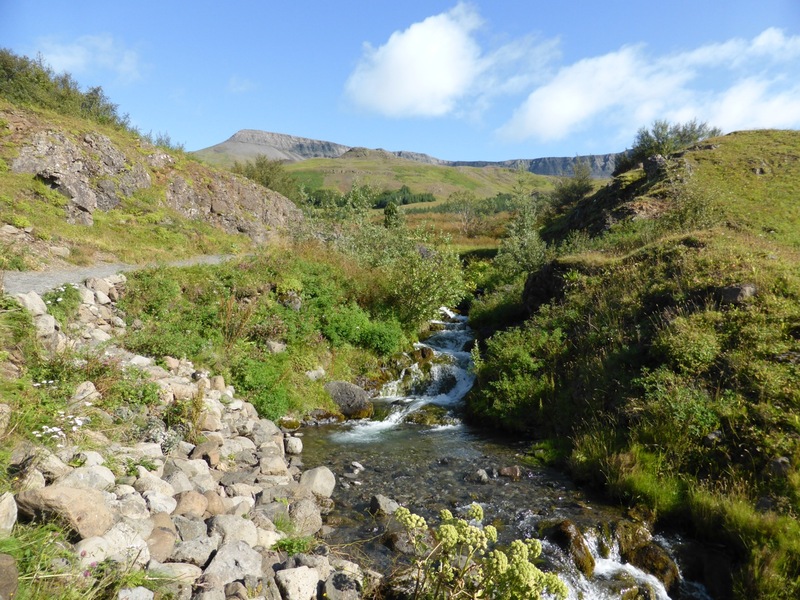 Actually I did come closer to the real heart of the country when I walked out along a long dirt road to a tiny youth hostel in a narrowing lowland valley to the northwest of the famous glacier called Eyjafjallajökull. On this little croft, with only a single staff member for company, the croft itself in the company of a single farm, there was a sense of peace, and of harmony with the landscape. But I had to get back to Reykjavík the nest day, and so this brief experience of a human place in peaceful coexistence with the landscape was overwritten by more sandscapes, lava flows, and by the bustle of the Blue Lagoon, where I rounded off my trip that afternoon. Iceland, I could declare on my return to Britain, is an unbelievably bleak place – beautiful, but no place to live. 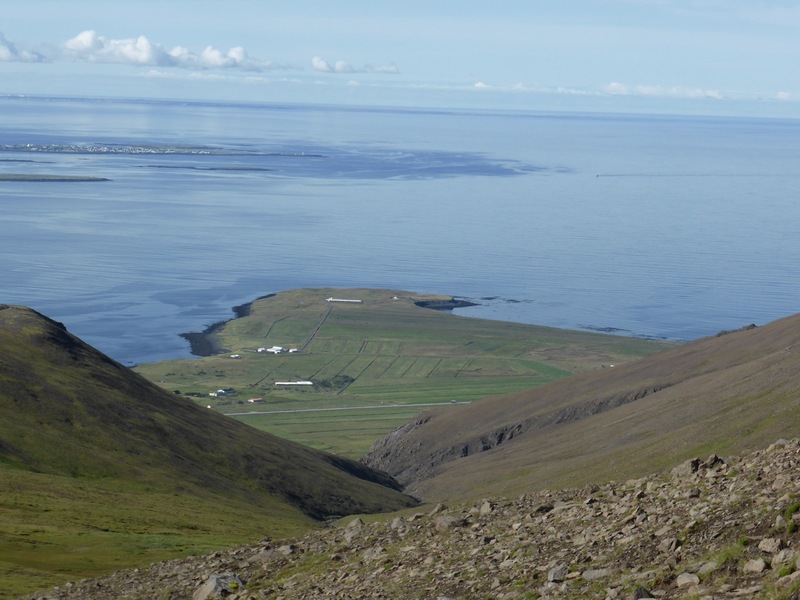 However, as a student of the medieval Icelandic sagas, I could not escape the fact that for over eleven hundred years people had been living on this island. And more than that, they had created, told, and written stories of all kinds that demonstrated their interactions with the landscape, showing that these people existed not in spite of the land, but with it and because of it. 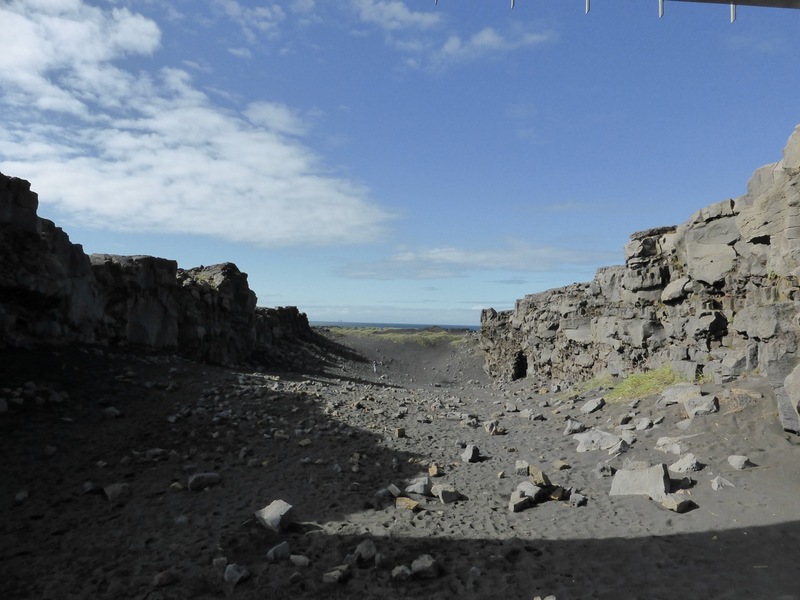 My experience of Iceland made this difficult to understand, but there it was, demonstrated in forty medieval sagas and numerous other stories and folk tales, taking place in real locations all over Iceland, and all crying out that there was more to this country than waterfalls and lava. So when I went back this summer I carried with me two kinds of guidebook. 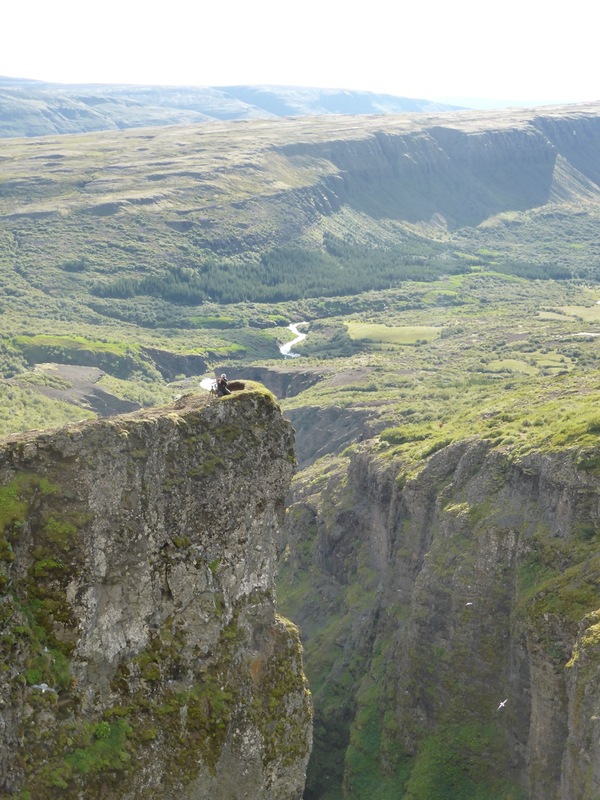 I had an up to date Lonely Planet to lead me to more of the natural features that had so impressed me on my first visit, and in my rucksack I had a five-volume collection of the Icelandic family sagas, or Íslendingasögur. These would be my guide to the landscape behind the landscape, the Iceland the settlers saw and lived in, visible now to foreigners only with the aid of these stories, but preserved also in the memories and national consciousness of the Icelanders themselves. 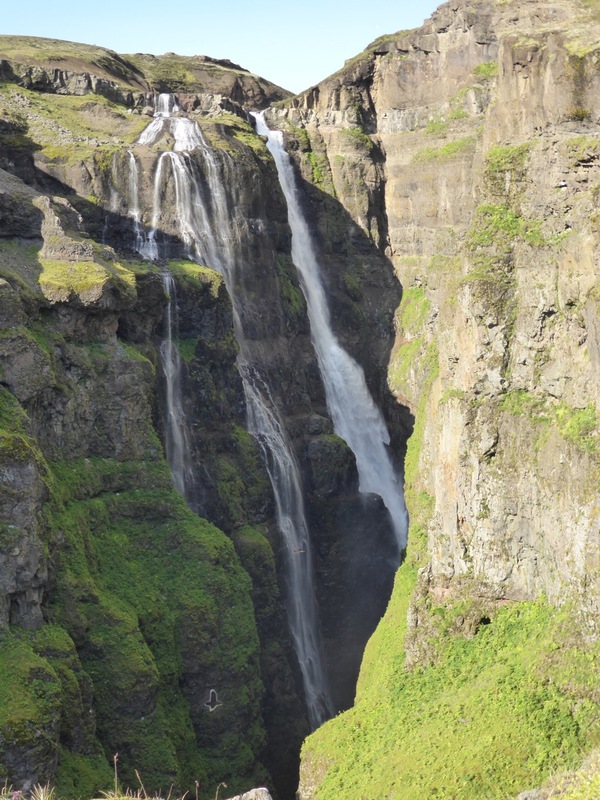 It is an Iceland that takes time and effort to discover, but it is an Iceland worth making the effort for. 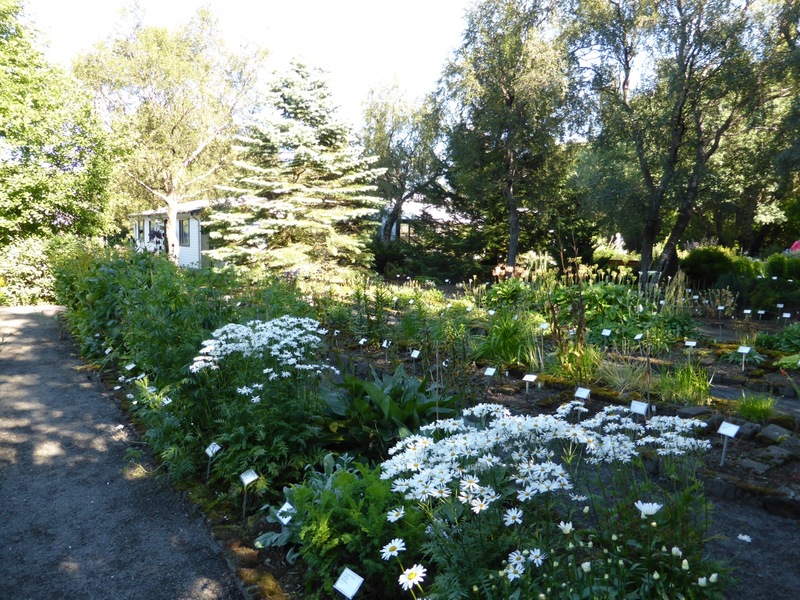 It is the nature and the people, the history, and the literature of Iceland. It is Iceland. 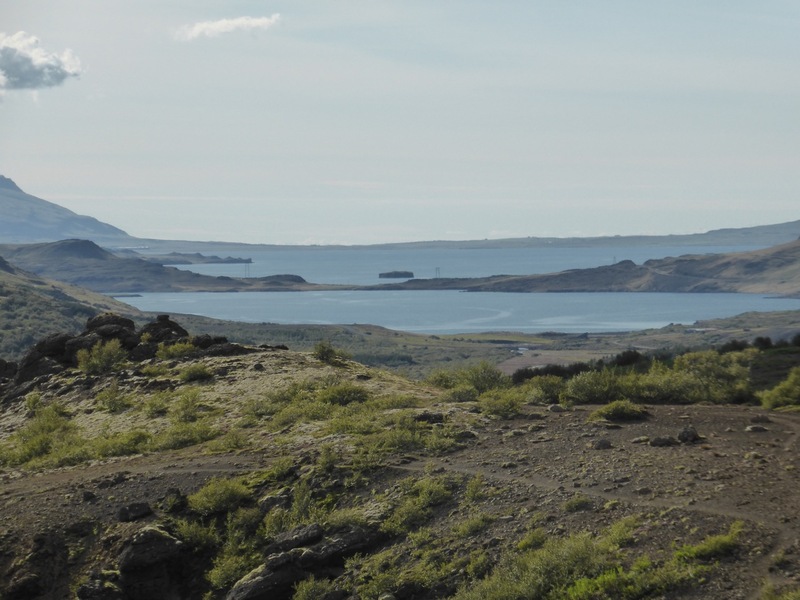 Geirþjófsfjörður – a landscape with a story.